Got any favorite recipes you'd like to share? Core the peppers, steam upside down until done. While peppers steam, chop the onion into roughly 1/2 inch chunks. Do the same to the tomatoes, set aside. Put the butter into a 2 inch skillet, and sauté the onions for 1 minute before putting in the beef. Brown the beef until mostly done, adding the spices to taste. Add the tomatoes, simmer until the tomatoes are softened. Stuff into peppers in a 9 inch square baking dish, preheat the broiler. Top the peppers with the cheese, and broil them in the dish until the cheese melts. Makes 4 peppers. If at first you don't succeed, skydiving probably isn't your sport. Seems like a great recipe NudeDude92. It’s been my experience in the past the peppers seemed somewhat bitter and not a very exciting recipe but the spices should give it a bit of pep. I remember these from childhood, my mother made them about once a month. I would eat the stuffing and leave the pepper. The pepper itself never appealed to me, so my mother finally just put my stuffing in a small dish and it with three peppers full of stuffing for everyone else. sixth five years later I still avoid eating peppers since the flavor of the pepper itself does not appeal to me. Maybe it's just my taste, but when I steamed them, they had a better flavor and texture than when the Mrs boiled them. But hey, I cobbled this particular recipe together just tonight at walmart. Enjoy! I like the pepper still a bit crisp, so won't cook it nearly so long. Cumin's not my favorite spice, so I'll substitute cayenne. Other than that, sounds great! Some choose to put the tops on as a cap. The precise composition of the filling is negotiable, in my family it was more Middle Eastern than Southwestern. The pungency characteristic of the pepper is a factor. If it is problematic, these can be done with a red (sweet or not) pepper or a firmish tomato. JimShedd112 wrote: Seems like a great recipe NudeDude92. It’s been my experience in the past the peppers seemed somewhat bitter and not a very exciting recipe but the spices should give it a bit of pep. Sounds great. My have to try for dinner. The San Jose Mercury News sponsored a chilie cookoff in conjunction with the San Jose Fire Department many years ago, and they published the winning receipt. When I read it my reaction was that is was so hot it would be "Self Stirring." 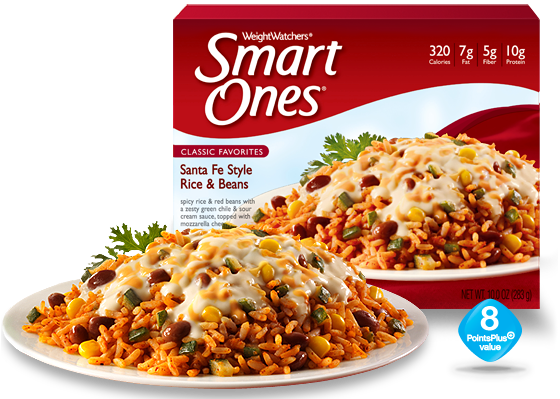 The ladies at work often bring in fresh bell peppers (red, green or yellow), slice them in half or in strips, heat them in the microwave so that they are hot but still on the crunchy side, and then fill or top them with Smart Ones Santa Fe Rice and Beans. I have not tried it yet myself, but they SMELL YUMMY!!! I think peppers are fine with something else. I will pretty much eat any vegetable available for food with other food. This is not the case with mushrooms, I can't stand those and avoid them, but I won't call them an exception, they aren't vegetables, after all, not being plants or from plants. So I can say I am really plant-based. As this is place involving communication for recipes, I consider sharing this site for many recipes of the healthiest food, which have delicious meals to pick. http://www.forksoverknives.com. As to classification, it depends on who is doing the classification for what purpose. My Merriam-Webster defines fungi as any of a group of lower parasitic plants.... For cooking they are treated as vegetables which are plants. If one assumes evolution, the current guesses by the official classifiers put fungi separate from plants. I like to eat a wide variety of mushrooms, and collect a number of wild ones I know. I like them with my peppers. Warning: consider any mushroom you don't know to be inedible. If your brother says mushrooms are fungi, not plants, he's right. If you say mushrooms are detestable to eat, you are right. Jim wrote: As to classification, it depends on who is doing the classification for what purpose. My Merriam-Webster defines fungi as any of a group of lower parasitic plants.... For cooking they are treated as vegetables which are plants. If one assumes evolution, the current guesses by the official classifiers put fungi separate from plants. A dictionary as that might be with outdated information. I am aware mushrooms and fungi generally were all considered plants by many including those studying them, in the past. I thougjt so in the past too. It is outdated, we can know all fungi including those with mushrooms produced with them are Opisthokonts, like us, and not plants at all.